Our move out of the art gallery is fast approaching. As the new strongroom at York Explore won’t be ready until next year, the records need to go into storage in the meantime. The bulk of the archive will be going away for a year to remote storage, but what about the civic archive that I’m working on? The idea is to move these records into a secure local storage facility here in York, and for me to go with them so I can still work on them directly. This is obviously a bit of a nuisance in the middle of a major cataloguing project but it can’t be helped! I need to contribute to this process by working out exactly what the requirements will be for the new space, so that it can be negotiated, budgeted for, and set up correctly ready for me and the records to move in smoothly. The first thing I did was go through the collection and work out which records have to come with me, and which were better off going away to storage. 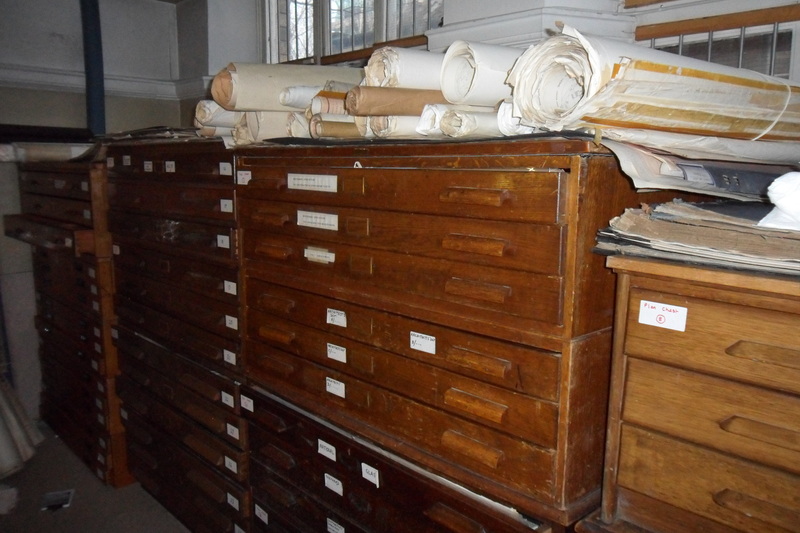 For example, the heavy plan chests on the mezzanine are very unwieldy and take up lots of space, so I should prioritise cataloguing them before the move so they can go straight into storage. This is about a third of our wooden heavy plan chests. Also, minute books are very straightforward to catalogue – I don’t actually need to physically have them with me, if I have a basic list to work from. So that’s another big chunk (c.60 shelves) that can potentially be knocked off. After I’d been through the archive in this way, I then had to work out what is left and what space I need to fit it in. 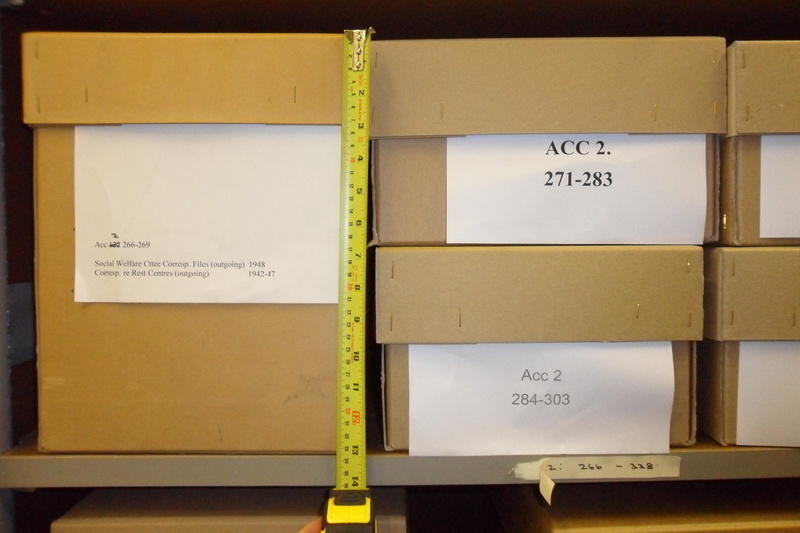 At the moment, our shelves are 44cm deep, 97cm wide and are set between 20-60cm tall. 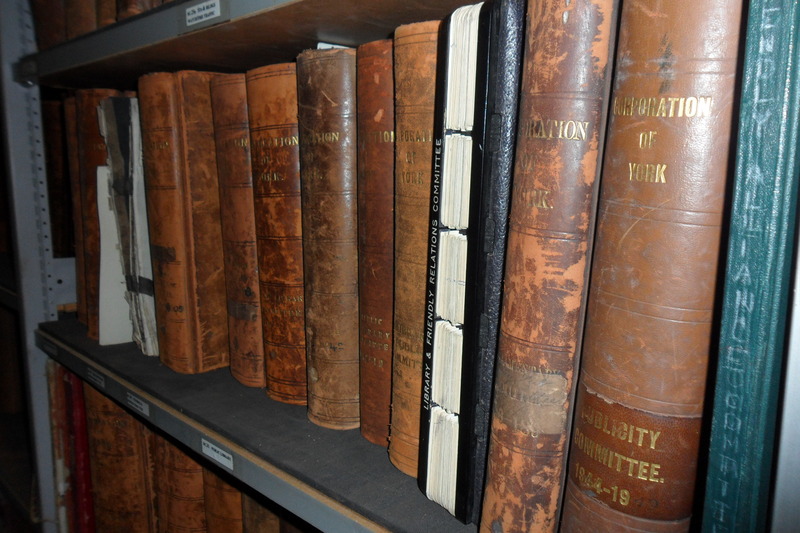 There are currently 729 standard ones in use in strongroom 1, plus another 80 extra deep ones that rolled plans are kept in. However, that size is not necessarily the best to fit the boxes we have, so today I’m measuring our various standard boxes to see how they fit together, and come up with a size range for each dimension of a shelf that I can give to the contractor so they can supply the right racking. Here are two of our standard box sizes. 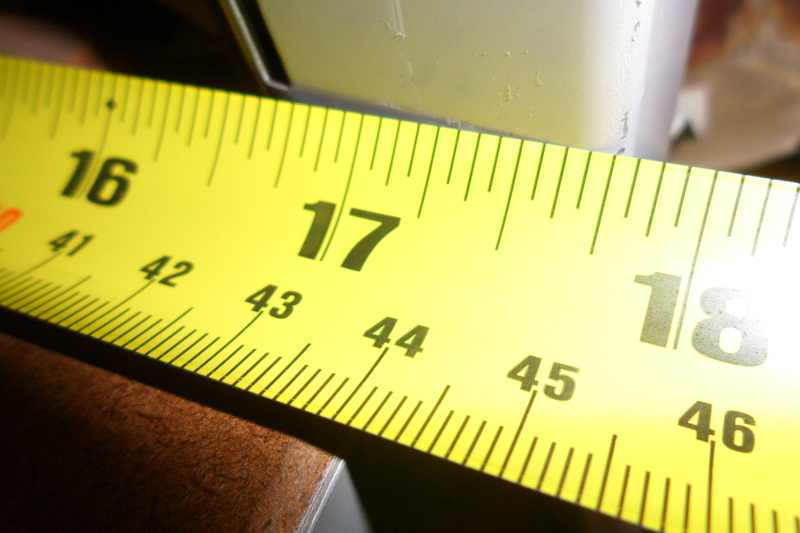 The height of one tall one is about the same as two medium ones. 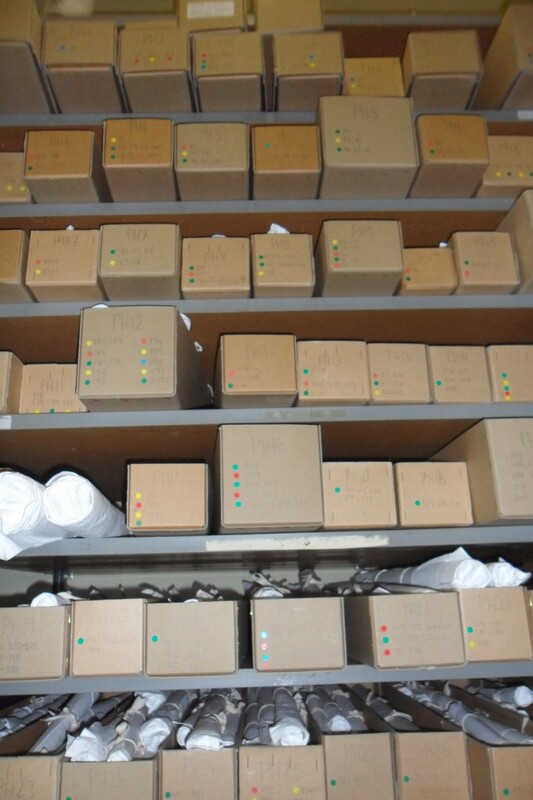 Like many things in archives, you need to be systematic and accurate. I don’t want a surprise on moving day finding out that the boxes won’t fit. I once bought a sofa that wouldn’t fit through my hallway (we had to take the window out to get it in the front room) so I’m being extra careful to get it right this time! In a few weeks Victoria and I will do a site visit to see what facilities there are, such as loading bays, room for our large work table, computer/office access, and see if there is the right space to accommodate us based on the shelving needs that I’ve worked out. The move is becoming a lot more real at the moment, and as soon as the plans are fully in place I can finally get stuck into physically cataloguing the records, starting with those on my priority list that may be going away for storage. Interesting times! This entry was posted in Uncategorized and tagged Metrics, Move, Strongrooms. Bookmark the permalink.